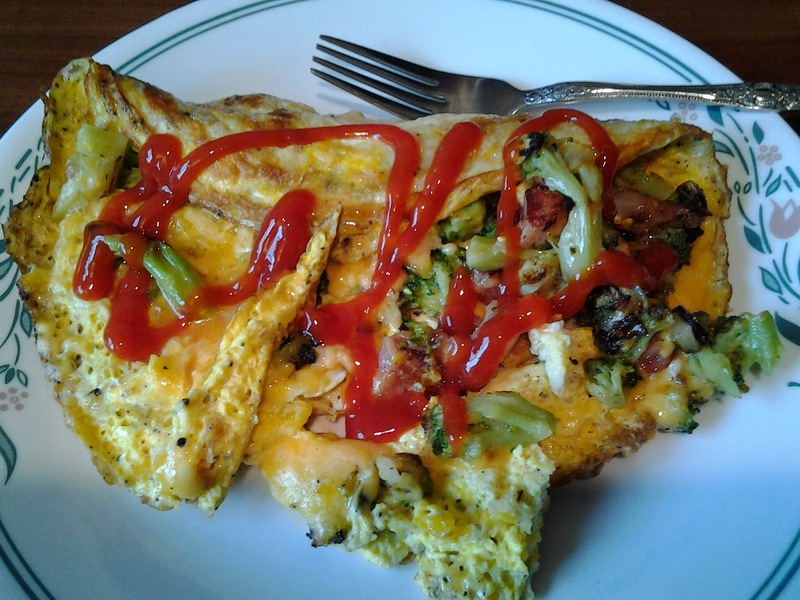 A three duck eggs, broccoli, onion, ham and cheese omelet, topped with some hot sauce and Heinz ketchup (there is no other ketchup, just FYI). Oh, the picture doesn't do the flavors justice. I love me an omelet with whatever is left over, inside of it! !